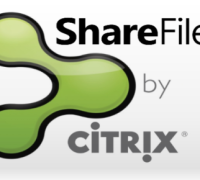 Citrix ShareFile Files can be hosted in the Citrix Managed cloud, or a Customer Managed Cloud. For a Customer Managed Cloud a StorageZone Controller needs to be placed within the boundaries of your own datacenter. Up to and including StorageZone Controller version 2.2, Citrix Sharefile stored all the files within one single folder. In very large environments this could lead to some challenges due to the large amount of files within one single folder. Some time ago I wrote a blog “Citrix ShareFile : Lessons learned in real life“, in which I discussed the maximum number of files supported by the storage array. Up to and including StorageZone Controller 2.2 all zone files were stores in a single folder. With this new release, according to the eDocs StorageZone Controller version 2.3 is able to handle more files per zone. Unfortunately the documentation about this new feature is limited. Let me start to explain how ShareFile accomplished this, how to enable and configure this new feature. By default the feature to support more files per zone is switched off. To enable this new feature you need to update a registry key on all StorageZone Controllers in your zone.